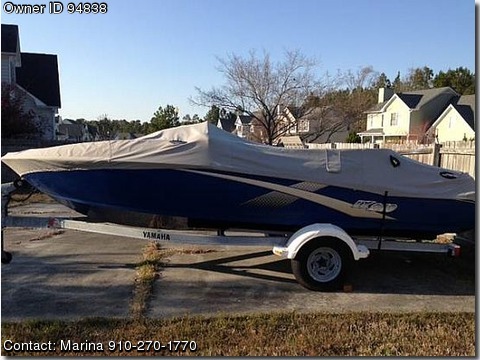 Asking $12,500.00 or best offer for my 2003 Yamaha LX210 Jetboat, has a custom Bimini top, twin 135 HP, seats have been recently upholstered by Capeside Upholstery, boat is in great shape, looks GREAT, runs well and is definitely water worthy! I have outlined the options that are on the boat and it will definitely not be on the low end of the retail price but not on the high end either. It is a 22 foot jetboat, comes with the trailer, bimini top, and custom cover. Clean title, seats 7 comfortably, is great for a family, but can also be fun for fishing, can be taken in the water with as little as 6 inches of water, has impellers and is a great safety feature for young children, LOTS of storage on-board, nice stereo system, a lot of power to pull a ski, tube, multi-person tube! :-).